Custom websites that are easy to update and maintain. Kattero is based in Olympia, WA but my clients come from all over the US. I’ve been creating small business and nonprofit websites customized to meet their organizational goals. No two organizations are the same, so why should their websites be? You won’t get a cookie cutter theme and cut and paste text. We will work as a team to tell your story and build a website that reflects your values. 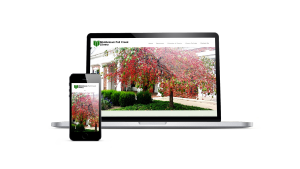 Websites need to look as great on mobile devices and tablets as they do on laptop screens. Your website will be crafted to look great regardless of what type of device your visitor is using. Your website will be built with you in mind. You are experts in helping your community. You want a website that is easy for you and your staff to maintain and update. You bring your mission expertise and I’ll bring the technical skills and together, we’ll create a beautiful website. I specialize in WordPress website design, planning, training, and on-going maintenance. Your website will be built to last.